On the night of October 1, 2017, Stephen Paddock opened fire on concertgoers from a window he broke at the Mandalay Bay Resort and Casino. It was the deadliest shooting in modern US history. The incident claimed the lives of 58 people and injured 489 others. What does this hold for the hotel industry outlook for the future? Reports state Paddock stockpiled weapons in his room for three days. How could such actions go unnoticed and at a hotel like the Mandalay Bay? While it’s true that Las Vegas has unspeakably lax gun laws, the slaughter that Paddock carried out should force hotels – not just in the state – but all across the country to really think hard about security. Although CBRE’s hotel industry outlook for 2018 remains positive – the research was released months before the shooting – what happened in Las Vegas was a wake-up call for the industry across the country to provide a safer and more secure environment for their guests. After the incident, hotels in Las Vegas beefed up security, particularly Mandalay Bay and other properties owned by MGM Resorts such as the Bellagio, the MGM Grand, and the Monte Carlo. Guests at the Wynn Resort were scanned with metal detectors and their bags put through X-ray machines. A lot of those increased security measures will most likely be phased out over the next few months. While seeing security machines after a tragedy creates a sense of safety, the trend in the US hotel industry favors convenience and such machines are seen as an inconvenience. Many hotels favor mobile phone room keys but security experts aren’t too fond of such innovations. While they do make for a satisfactory guest experience, less interaction with staff means they’re unable to spot any red flags. So how does a hotel guarantee safety and security for guests without causing too much inconvenience? The Las Vegas shooting happened just a year after the nightclub shooting in Orlando. If mass shootings in the US don’t decrease, hotels and other entertainment spaces will be forced to not only implement heightened security measures but also take more preventative measures. If they do not do so, they will be held legally liable should a horrific event happen within their premises. So what are the best preventative measures to put in place? That is a question that even experts are finding hard to answer. 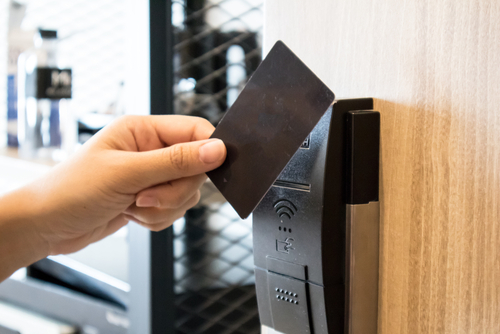 While screening technology does create an atmosphere of safety, they can be a hassle given the trend across the hospitality industry in the US to value convenience over security. Following the incident in Las Vegas, hotels across the US are most likely going to retrain employees to better spot glaring red flags and act accordingly. Hotels may also look into creating legal safeguards like having guests sign paperwork promising not to bring guns into the premises. Another measure is to conduct random background checks. To avoid a grim hotel industry outlook, hotels are going to have to be more responsible for regulating their own premises moving forward. For security help with your hotel business, consult with Perry Group International.